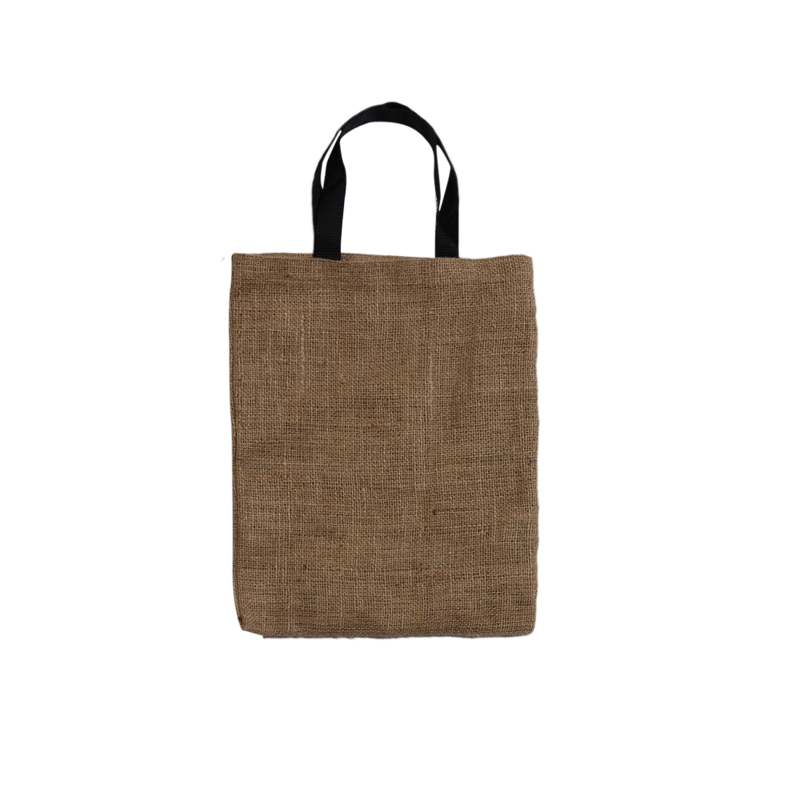 BURLAP FLAT TOTE BAG WITH 18" INCH BLACK HANDLES THAT IS CUSTOM MADE TO SIZE 13" X 15". OUR BURLAP BAGS ARE MADE TO EACH ORDER. SOLD AS BLANKS OR SILK SCREEN IMPRINTED IN ONE COLOR IMPRINT TO FOUR OPTIONAL COLORS. MADE WITH 100% ECO FRIENDLY BURLAP JUTE MATERIAL. THESE BURLAP BAGS ARE CUSTOM MADE TO YOUR ORDER WITH ART LAYOUT PROOF WHEN SILK SCREEN PRINTING.OTHER SIZE BURLAP BAGS WITH OPTIONAL CORDING AND HANDLE COLORS AVAILABLE OR TO QUR ASI,SAGE,PPAI OR OTHER. CODES 8 (S) SET UPS 4(S) MADE IN THE USA.